We live in a bewildering world of change, which splits naturally into steady progress punctuated by sudden disruptions - the two speed world. Steady progress ensures the survival of our species, but it is the disruptions that move us to a new level. Both types of change, slow and rapid, are important, because they mould and shape our lives, but because of their widely divergent characteristics it is sometimes difficult to recognise a major life-changer until it is too late. Even if we do spot the upheaval, we cannot deal with a change unless we understand it. Examining leading edge ideas and examples from history, this book gets to the heart of this dilemma. How do we recognise the type and importance of the changes that we face? What pitfalls must we avoid in order to keep to the correct path? What tools are available and when are they applicable? How can we avoid the temptation to redefine a change in order to make it fit our favourite tool? The past masters of change were mavericks who pushed against the prevailing wisdom of the day in order to give us answers to these questions. Theirs' are fascinating stories. Ranging across a wide sweep of history, management thinking and ideas from science and engineering, the authors distil a simple but effective approach to understanding change; showing how to improve decision-making and risk-taking for more successful and profitable outcomes. Gerald Ashley is an advisor, writer and speaker on business risk and decision making. He has over thirty years experience in international finance, having worked for Baring Brothers in London and Hong Kong, and the Bank for International Settlements in Basel, Switzerland. He is now Managing Director of St. Mawgan & Co which he co-founded in 2001, a London-based consultancy specialising in strategy consulting, risk management and decision making in finance, business and risk-taking. 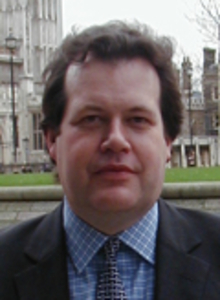 He is a Visiting Fellow at Newcastle Business School and a regular contributor in the press.